Federal Health Minister Ginette Petitpas Taylor has released the Liberal government's proposed cannabis regulations opening the door to craft marijuana producers, allowing low-risk offenders to participate in the industry and offering some leeway on packaging. Federal Health Minister Ginette Petitpas Taylor has released the Liberal government's proposed cannabis regulations, opening the door to craft marijuana producers, allowing low-risk offenders to participate in the industry and offering some leeway on packaging. Canadians have until Jan. 20 to offer opinions either through an online questionnaire or by providing a written submission on the measures before they are implemented. "This proposed regulatory approach is informed by the extensive consultations to date, and it supports our overarching goal of protecting public health and safety," the minister said in a statement. "We look forward to hearing the views of Canadians from across the country." The proposed regulations set out how the federal government will restrict and control the production and distribution of marijuana once it becomes legal in July 2018. The six broad areas that will be subject to government regulations include: licensing, security clearances, cannabis tracking, cannabis products, packaging and labelling, medical marijuana and health and cosmetic products that use cannabis. The proposals also open the door to increasing the number and types of products available for sale in an effort to displace the illegal market. "Additional product forms could include, for example, pre-rolled cannabis and vaporization cartridges manufactured with dried cannabis," the proposals say. "Product forms for cannabis oil, such as cannabis oil capsules, oral sprays, and cannabis oil intended for topical application, would continue to be permitted." Single-use products such as pre-rolled joints that can contain no more than one gram of dried cannabis. A single-use edible cannabis product such as a capsule should not contain any more than 10 milligrams of THC per capsule or dose of spray. Cannabis oil subject to a 30 milligram per millilitre limit of THC concentration. The THC concentration of products for inhalation will, however, not face limitations beyond the natural THC level of the plant. 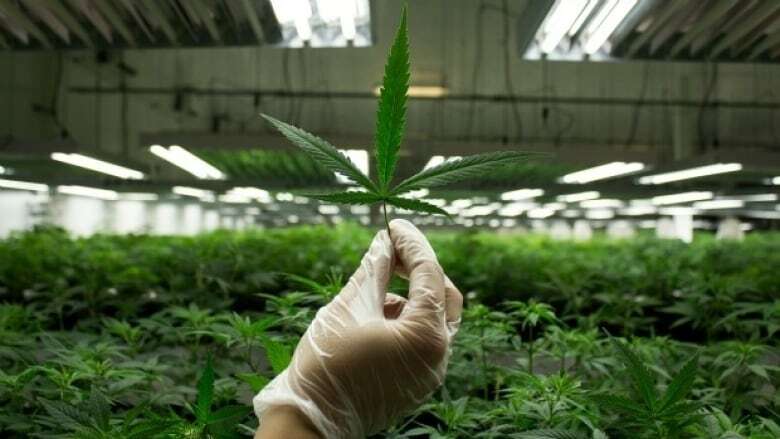 Health Canada is setting out a number of different licensing regimes and permits to allow for a range of different activities including cultivation, processing, sale, testing, research and importing and exporting. Interestingly, there will be no limit on the number permits the government will issue. The licensing for cultivation, for example, will allow producers to apply for authorizations that fit their business model, whether it be growing pot on a large scale for recreational use, or regulating producers who want to start a nursery that produces seeds and seedlings. The consultation document also sets out guidelines for micro-cultivators, growers who would be able to grow on a small scale, much like the craft beer producers, and who could produce boutique strains. Those cultivators would then be able to sell to micro-processors or large-scale producers who would then sell to the public or other producers or sellers with a federal license. Micro-processors "will be able to participate in the market through provincial sellers," said MP Bill Blair, the government's lead official on legalization. "The provinces will be able to obtain from any licensed producer within their jurisdiction." The proposed regulations also lay out a regime for packaging and labelling of cannabis products that does not demand generic or plain packaging, but gives producers some leeway providing they meet a few universal standards. Products have to be labelled in such a way that they "promote informed consumer choice" and while there are no proposals for plain packaging, there must be "strict limits on the use of colours, graphics, and other special characteristics of packaging to curtail the appeal of products to youth." Marijuana packaging will also have to be contain a health warning similar to those on tobacco products, must display the THC levels of the cannabis product within, and must be tamper- and child-resistant. Ginette Petitpas said that the labelling and packaging proposals are what they want to see when pot becomes legal, but they are open to hearing how that can be implemented. "We're looking forward to hearing many points of views,and then from there we will be able to make the final decision." Anyone with a licence for either cultivation or sale under the proposed Cannabis Act now working its way through Parliament will need to have security clearance issued by the health minister. The proposed regulations suggest the minister would be given the ability to refuse security clearance to people with links to organized crime, or past convictions associated with drug trafficking or violent offences. But the proposals state that the federal government is seeking Canadians' opinions on whether or not it should allow people who have been convicted of nonviolent or low-risk crimes, such as possession of pot, to qualify for the security clearance necessary to participate in the industry. "We have over 500,000 Canadians with minor drug offences on their criminal records," Petitpas Taylor told reporters. "We're just asking the question: should these people with a small amount of personal possession, should they be excluded from the market or should we consider them." The proposals also include strict requirements for securing premises that produce or sell marijuana, and a cannabis tracking system, to ensure that pot grown for the legal market does not find its way onto the black market.